One of the design principles at LoyaltyLion is to give merchants a loyalty program that complements their customer’s shopping experience. Back in early July, we released our points slider saving customers from having to copy and paste voucher codes. Now we are pleased to announce a LoyaltyLion first on Shopify: free product rewards that can be claimed in the cart. The feature enables customers to redeem their accumulated points against a free product from directly within their cart before proceeding to checkout. It provides a clean, efficient and seamless process for customers to checkout quickly without fuss and no need for vouchers. 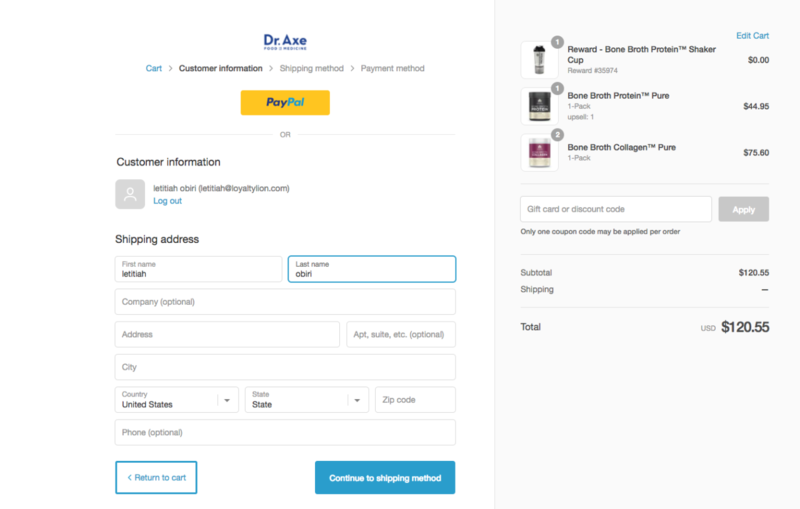 The screenshot below shows the checkout stage of the store. You can see that the free product claimed via the loyalty program has been automatically added to the customer’s order.